Irritable bowel syndrome (IBS) is a chronic gastro-intestinal disorder. It is also known as spastic colon, functional bowel disease and mucous colitis. IBS is not contagious, inherited or cancerous. As per different reports, it is estimated that more than 20% of adults show symptoms of IBS. Also, it occurs more often in women than men, at the age of 35 or more. The cause of irritable bowel syndrome is not known. However, IBS may result from abnormal gastrointestinal tract movements and some unusual change in the nervous system communication between the brain & GI tract. The abnormal movements of the colon may be fast or slow. Symptoms of IBS include pain and discomfort in different parts of the abdomen. Pain usually comes and goes, but the length of each bout of pain vary greatly. In some cases, the pain often eases on account of passage of stools or wind. Other symptoms may include bloating and swelling of the abdomen, release of more wind, diarrhea, constipation, watery or mucus mixed stools, headache, belching, poor appetite, tiredness, backache, muscle pains, heartburn and bladder symptoms. Irritable bowel syndrome (IBS) is a long-term chronic disorder, but manageable condition. Treatment mostly depends on the types of symptoms and their severity. There is no single treatment for irritable bowel syndrome and it varies from person to person. Certain foods may trigger symptoms of IBS. Intake of caffeine and alcohol should be avoided as these are reported to trigger the symptoms of IBS. If diarrhea is the main symptom, intake of dairy products should be avoided. Increasing fiber in the diet may help relieve constipation. Bloating or gas can be relieved by avoiding foods such as beans, cabbage and uncooked cauliflower. Getting regular and vigorous exercise may help reduce tension and make bowels more regular. Medicines may be used to manage symptoms of IBS. Common medicines for IBS may include anti-cholinergics for cramping, medicines for diarrhea or constipation and anti-depressants. However, most medicines lead to side-effects and may worsen the condition. According to Ayurveda which is an ancient Indian system of healing, irritable bowel syndrome (IBS) can be due to irregular food habits, nervous imbalance, stressed life style, low immunity and non-adherence to the natural rhythms of body. These symptoms lead to deranged ‘Agni’ which is the main cause of irritable bowel syndrome. ‘Jathara Agni’ or digestive fire found in the small intestine helps in breaking down the food into smaller molecules for easy digestion. Weakened ‘Agni’ leads to indigestion or mal-absorption. Digestion is well ruled by ‘Jathara Agni’ and by the support of three doshas i.e.vata, pitta and kapha in a unique manner. Imbalance in a particular dosha affects the digestion process and particularly leads to IBS. Aggravation of doshas leads to deranged digestive fires i.e. Vata dosha leads to Vishama Agni, Pitta aggravation leads to Tikshna Agni and aggravated Kapha leads to Manda Agni. Herbal treatment of IBS aims at eliminating the toxins and restoration of proper digestion. 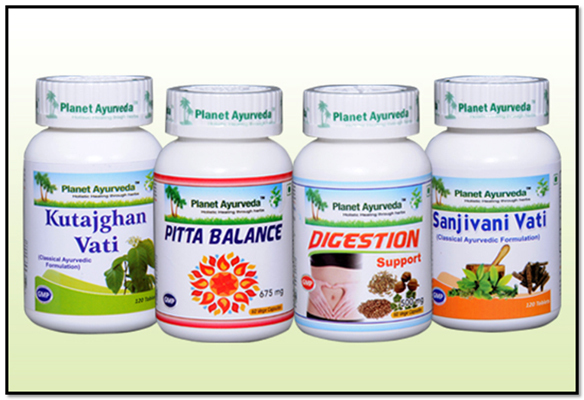 The natural herbs help in bringing back the basic strength and immunity of the body. Herbal remedies for IBS are based on specific herbs that support digestion. 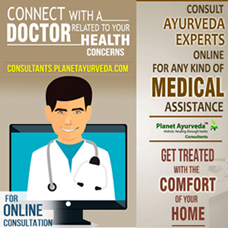 Ayurveda is an ancient healing practice and the herbal treatment is intended to reduce or alleviate the symptoms of a particular condition. Our herbal remedies for irritable bowel syndrome (IBS) are extensively used and can also be used alongside conventional medicine. It comprises of natural herbs that are well documented in their relief of IBS and other digestive disorders. We offer an effective IBS Care Pack, which is best combination of effective herbal remedies, and it is very helpful in the treatment of irritable bowel syndrome (IBS) naturally.